The sun is a shining example of fusion in action. In the extremes of pressure and temperature at the center of the sun atoms travel fast enough to fuse together, releasing vast amounts of energy. For decades, scientists have been looking at how to harness this safe, carbon-free and virtually limitless source of energy. 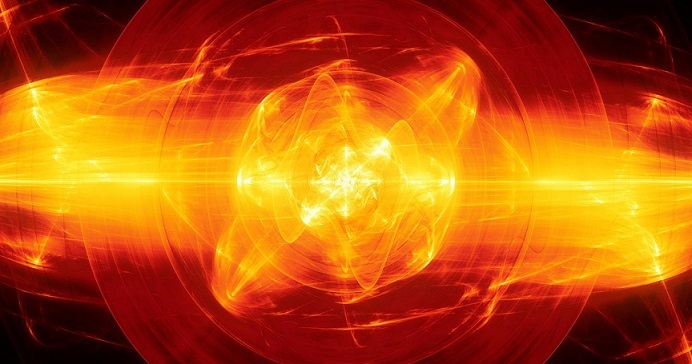 One major obstacle is the staggering temperatures that components in fusion devices have to withstand: up to 10 times the heat of the center of the sun. One of the main approaches to fusion, magnetic confinement, requires reactors which have some of the greatest temperature gradients on earth, and potentially in the universe: plasmas reaching highs of 150 million °C and the cryopump, which is only meters away, as low as -269 °C. The research team focused on one critical component, called a monoblock, which is a pipe carrying coolant. This was the first time the new tungsten monoblock design has been imaged by computerized tomography. They used ISIS Neutron and Muon Source's neutron imaging instrument, IMAT.